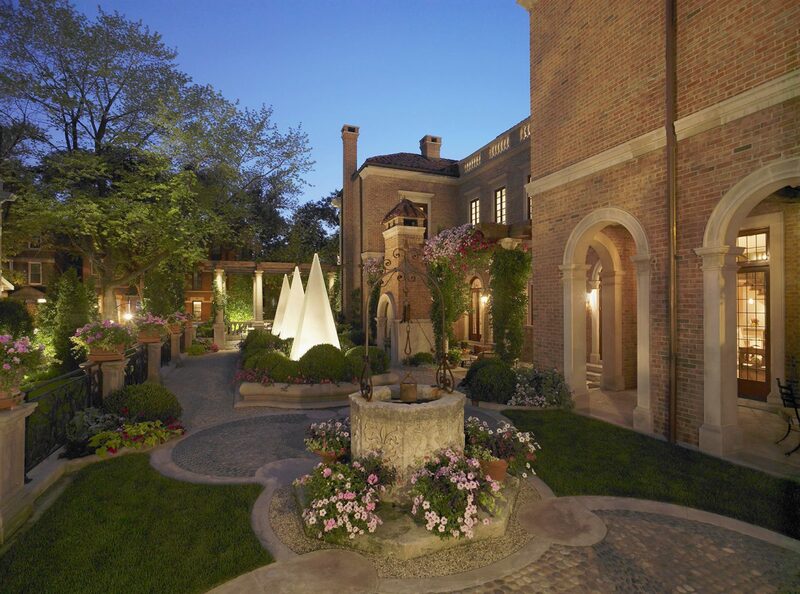 Struck by the beauty of the Palazzos on the Grand Canal in Venice, the original client of our Lincoln Park Venetian Home requested BGD&C design a true Italian Villa on Chicago’s Gold Coast. When the subsequent owner purchased the home and adjoining properties, BGD&C was called upon to design and build a main plaza, indoor swimming pool and a guest house. With the indoor swimming pool being on the lower level of the home, providing natural light into the space presented a design challenge. Together with the interior and landscape design teams, BGD&C Custom Homes crafted a solution that served a dual purpose. 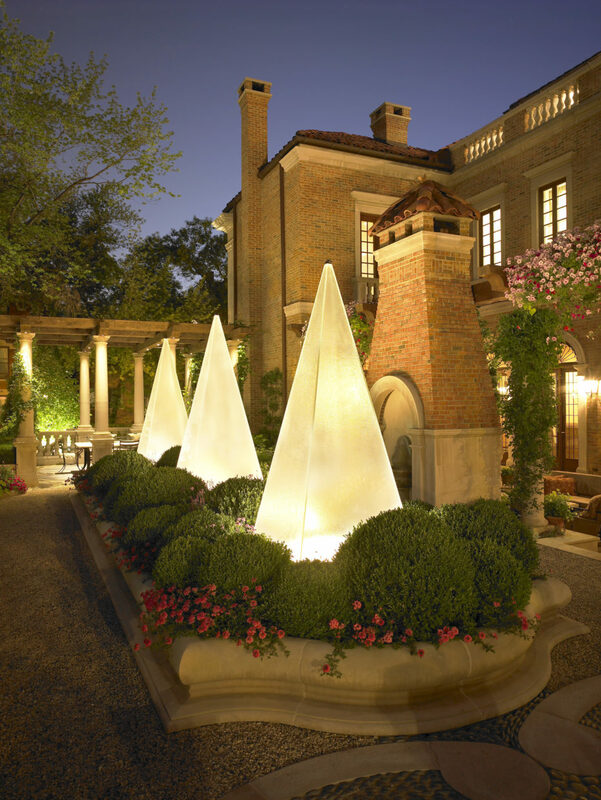 These three large, custom glass obelisks provide an interesting accent at the plaza level while also letting direct sunlight into the pool area indoors. 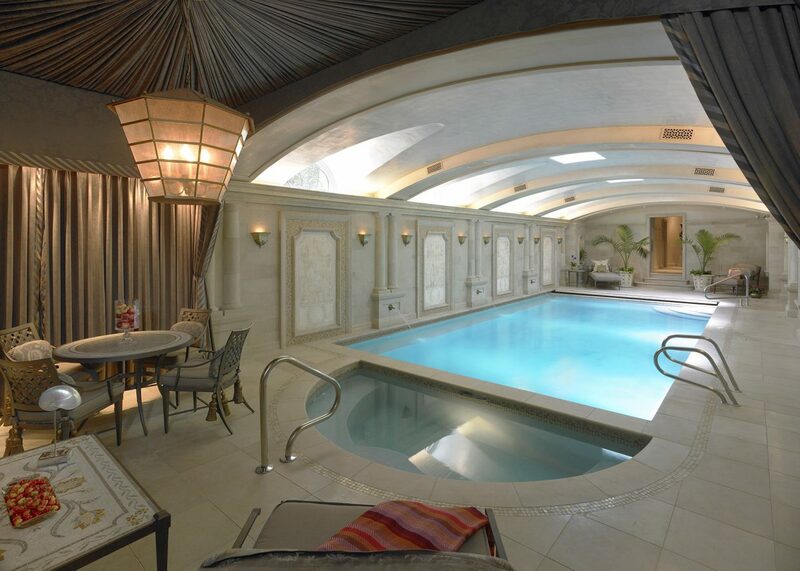 During the daytime, the family can swim, year round, drenched in sunlight. And at night, the glowing obelisks providing a luxurious and romantic ambiance, perfect for intimate gatherings and casual al fresco dining.